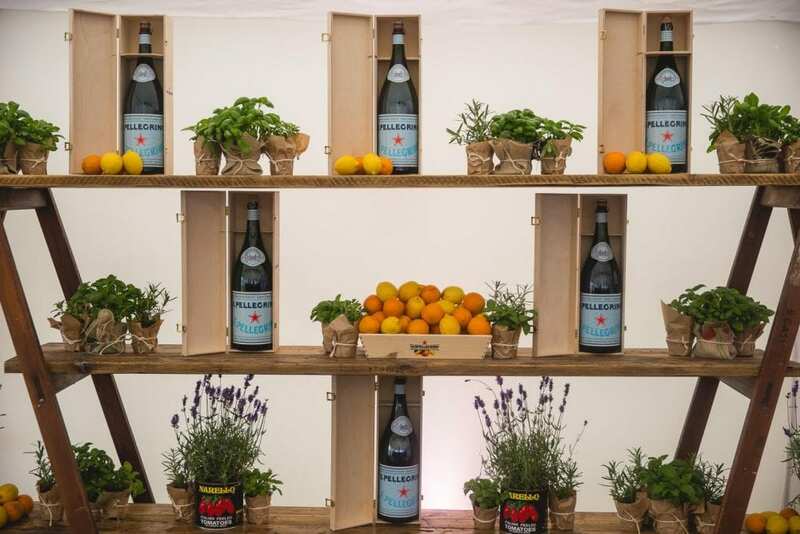 Inspired by Italy’s rustic piazzas, as well as the nation’s famously relaxed dining experience and prominence on fresh, seasonal ingredients – S.Pellegrino’s ‘Live in Italian’ residency is set to take over the fifth floor terrace of Harvey Nichols this summer. Taking place from 11th July to 7th August, the pop-up will deliver a strong focus on Italian cuisine, with four special events taking place every Tuesday evening, each hosted by a Michelin-starred Chef. Meanwhile, during the day – the space’s menu will be curated by the Italian Supper Club, with a focus on authentic Italian dishes served for lunch each day. Resident ‘Live in Italian’ Chefs include Ollie Dabbous of Dabbous in Fitzrovia, who will host the first banquet on 12th July, followed by Theo Randall (19th July), naming Italy as his favourite place to eat in the world, even going so far as opening a new restaurant – Theo’s Simple Italian in Earl’s Court. Tuesday 26th July’s event will be hosted by James Lowe of Shoreditch’s Lyles, while Alyn Williams of Alyn Williams at The Westbury will host the final banquet event of S.Pellegrino’s ‘Live in Italian’ takeover. Each of the Chef-hosted events will comprise a bespoke Italian-inspired four course menu, and will be paired with S.Pellegrino water and Italian wines. Tickets for the ‘Live in Italian’ terrace banquets are priced at £40, per person, and are available from billetto.co.uk.